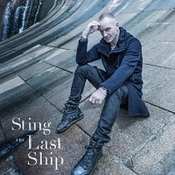 Sting | News | "The Last Ship: Live At The Public Theater" - DVD To Be Released September 23! Cherrytree/Interscope A&M Records is pleased to announce the worldwide release of ''The Last Ship - Live At The Public Theater'' DVD on September 23. 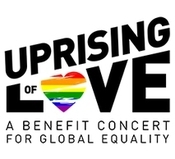 Featuring songs from Sting's latest album and forthcoming Broadway musical of the same name, the DVD captures Sting in an intimate evening of music and storytelling filmed on his birthday, during a run of 10 benefit concerts performed at The Public Theater in New York City. The DVD will be available for Amazon.com pre-order beginning today at www.amazon.com/dp/B00MOG5EXQ, and both the DVD and streaming video will be available from Amazon.com on September 23. For ''The Last Ship - Live At The Public Theater'' DVD performance, Sting is joined by a 14-piece band, many of whom also hail from the North East of England, including actor and singer Jimmy Nail, who appears in the upcoming stage production, as well as Kathryn Tickell on violin and Northumbrian pipes, Peter Tickell on violin and mandolin, Julian Sutton on the melodeon, and vocalists The Wilson Family. Also featured is Musical Director, Rob Mathes on acoustic guitar, piano and keyboards, and background vocals. Against a backdrop of evocative visual projections, this captivating live performance takes viewers on a journey of love, loss, redemption, and self-discovery, offering an inside look at the story behind The Last Ship. Watch a preview for ''The Last Ship - Live At The Public Theater'' at www.youtube.com/watch.